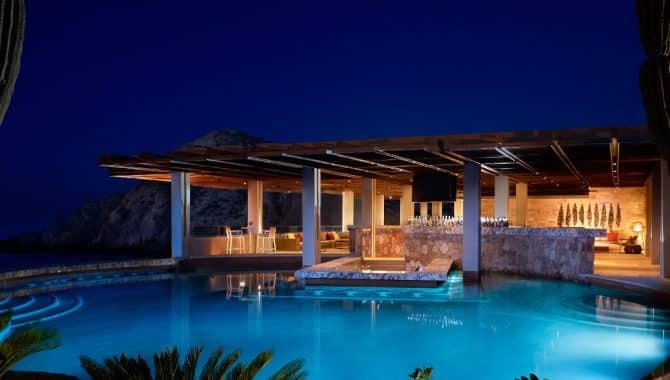 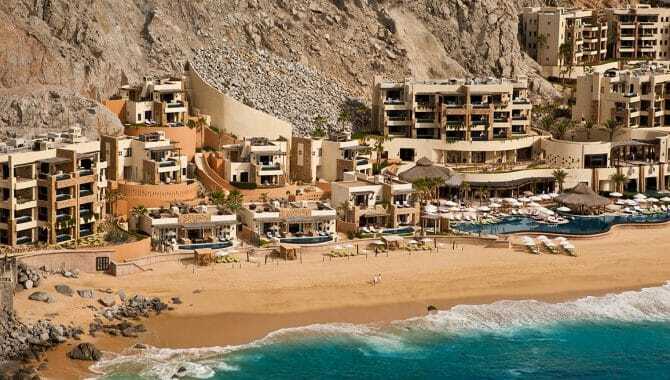 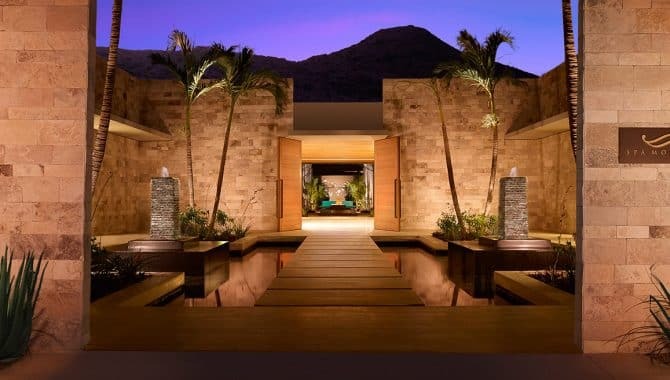 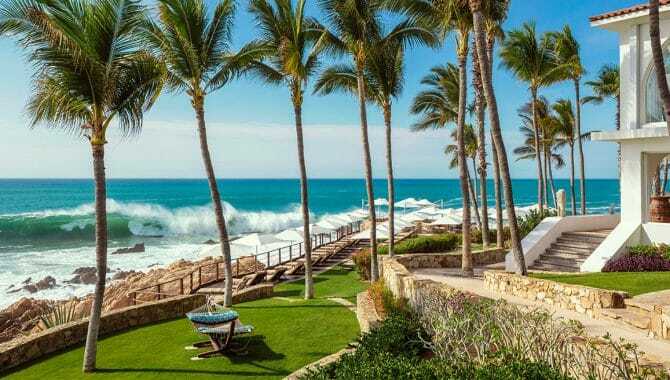 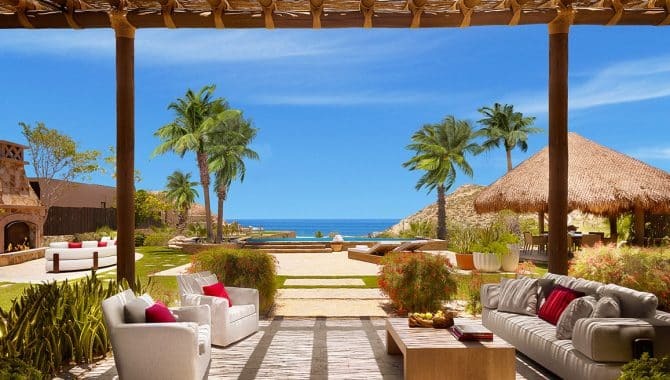 Celebrities including Jennifer Aniston, Jason Bateman, Cindy Crawford and George Clooney all vacation in Los Cabos. 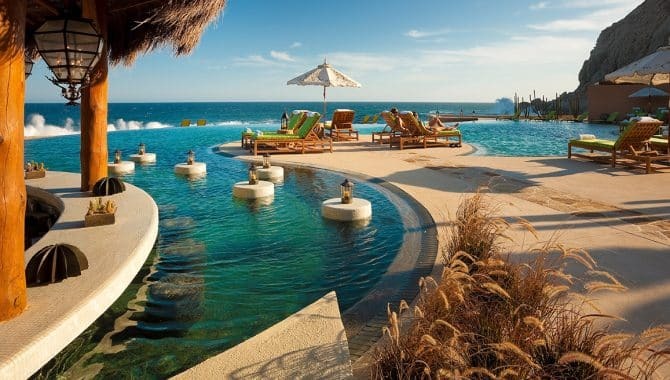 It’s easy to see why. 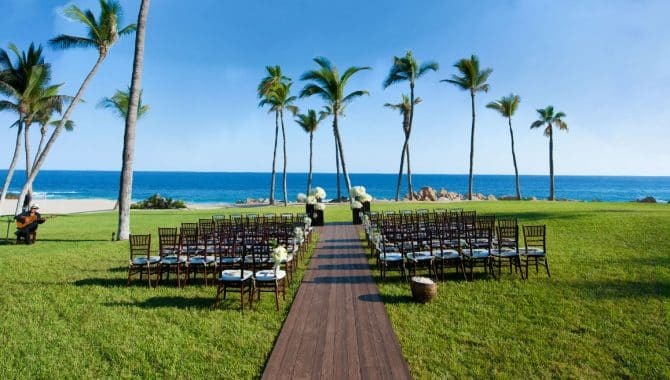 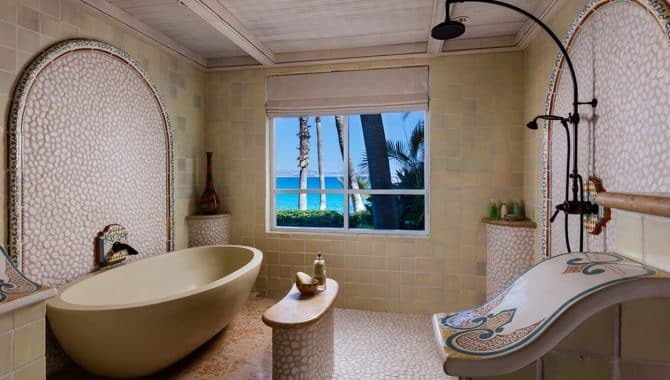 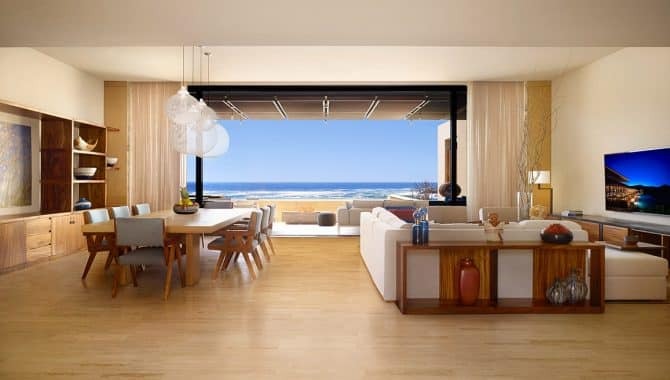 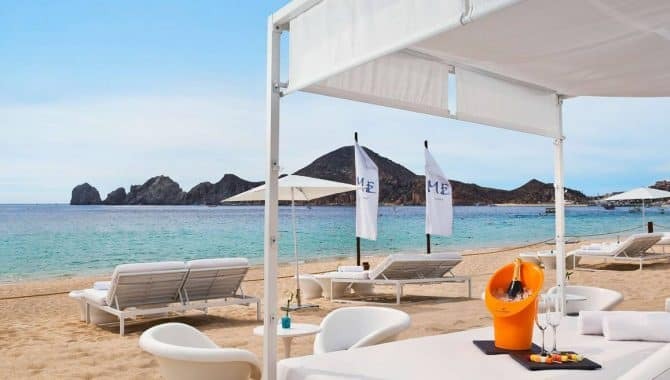 With a sparkling metropolitan setting reminiscent of South Beach in Cabo San Lucas, and luxury hotels and resorts set exclusively on the beach, there’s a sense of privacy and quality here. 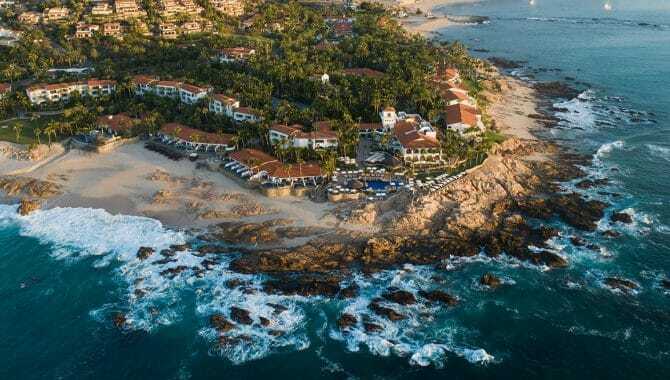 Unparalleled quality meets an active lifestyle rich with sports fishing and golf. 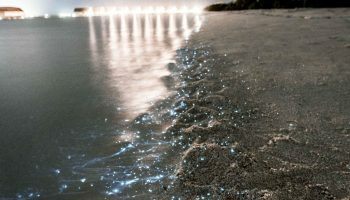 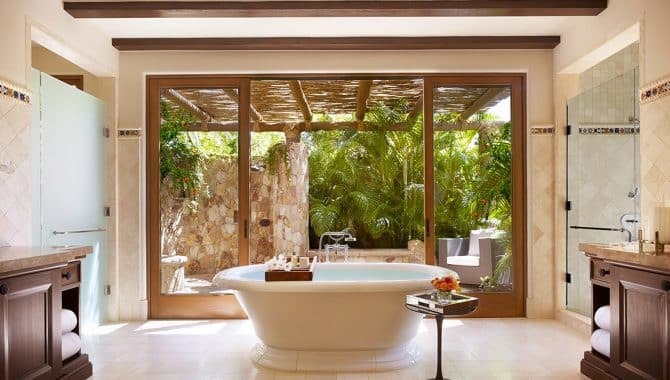 There’s always plenty to do before heading back to a relaxed and private hotel or resort. 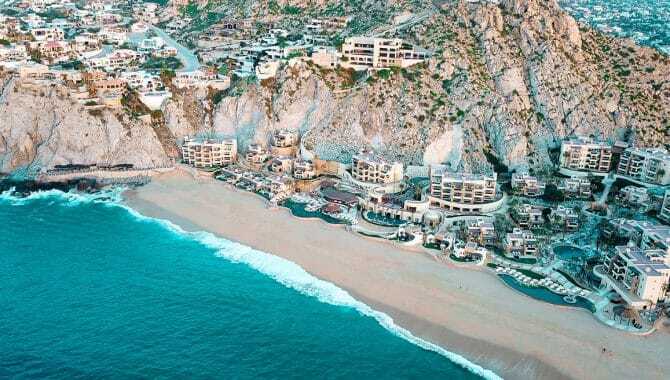 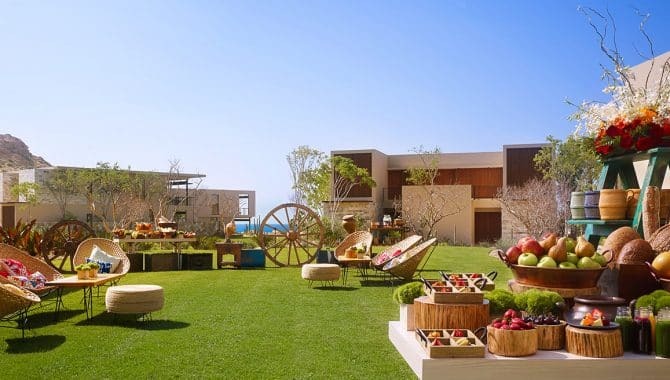 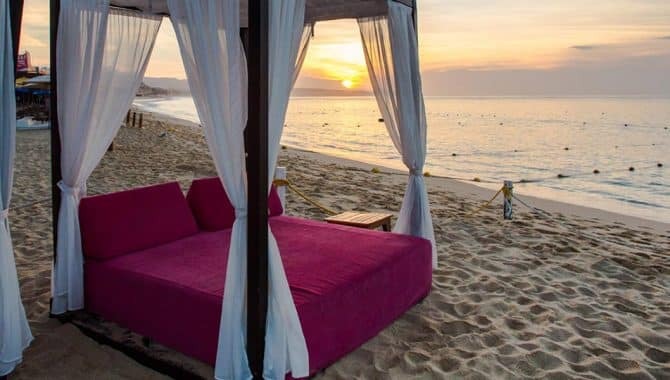 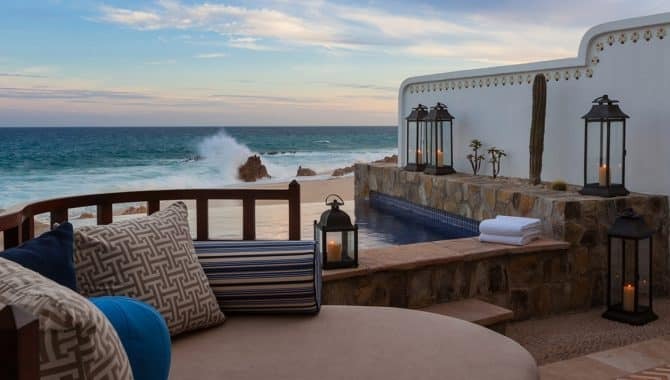 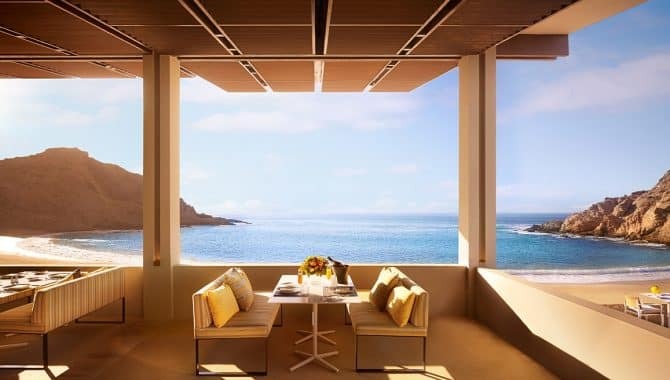 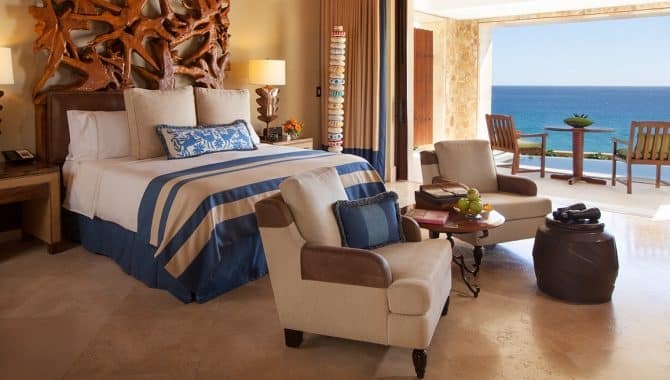 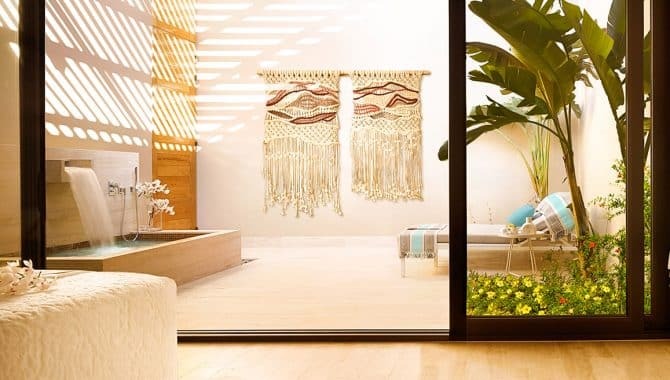 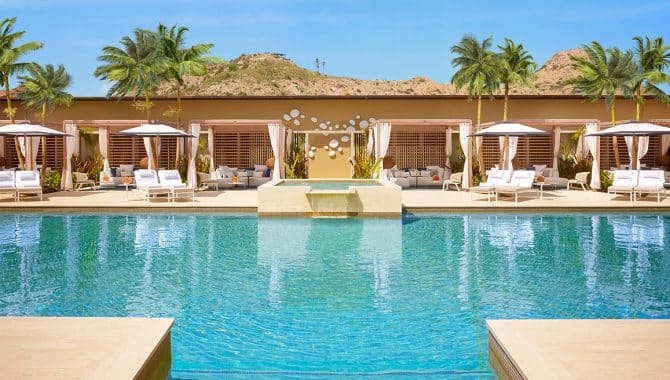 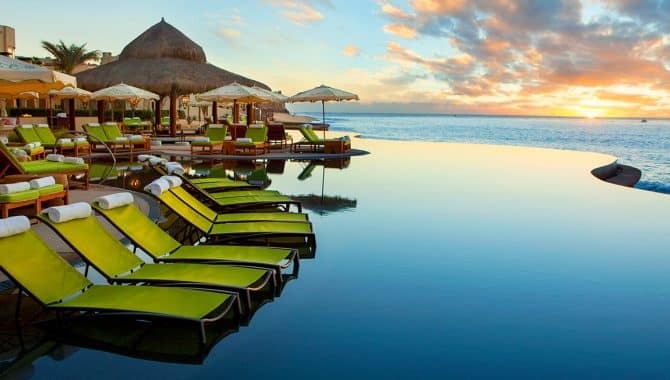 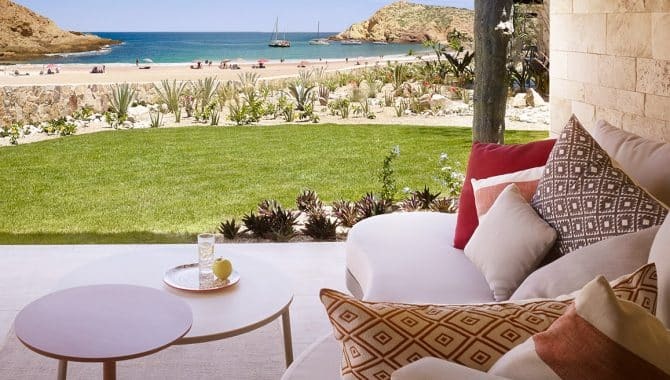 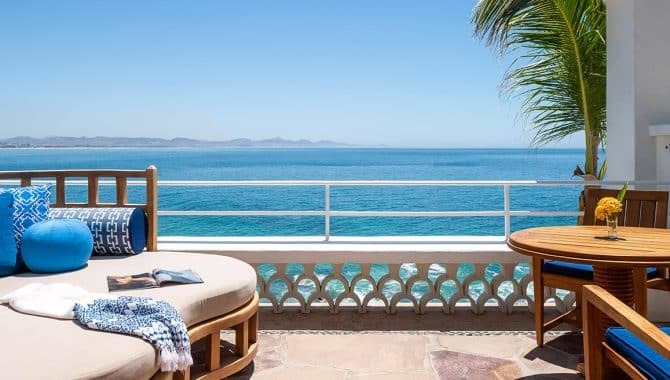 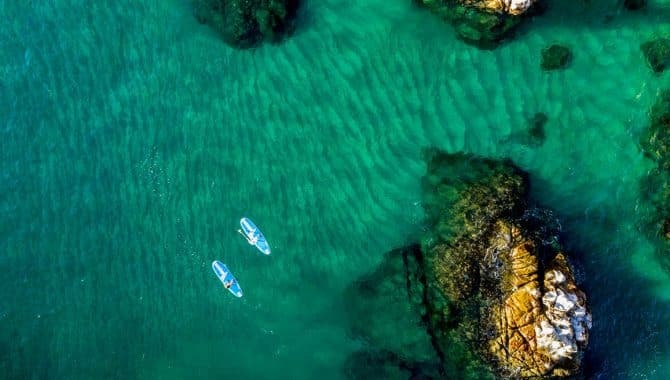 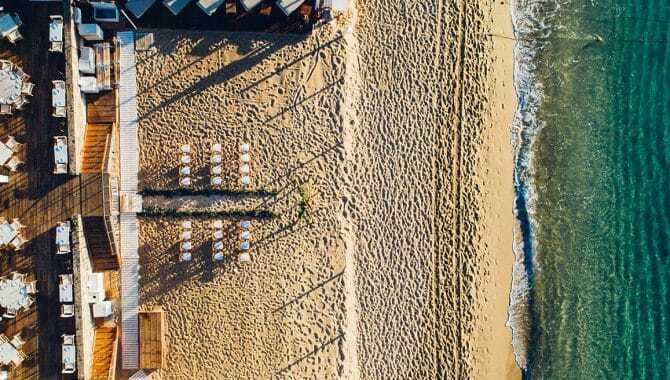 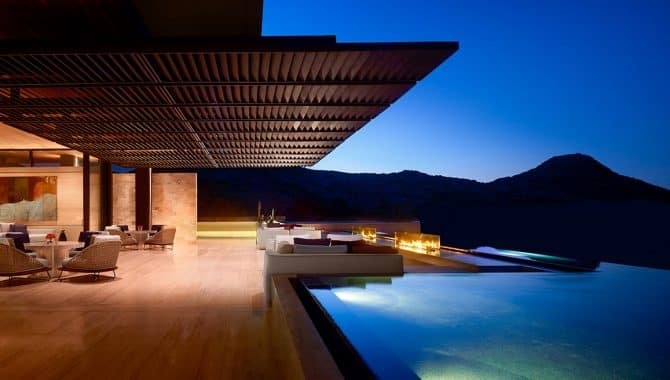 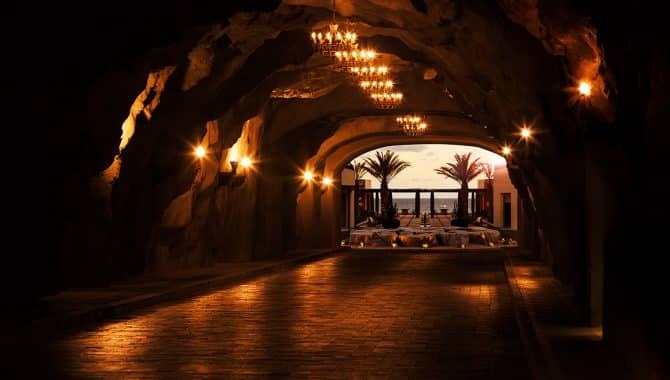 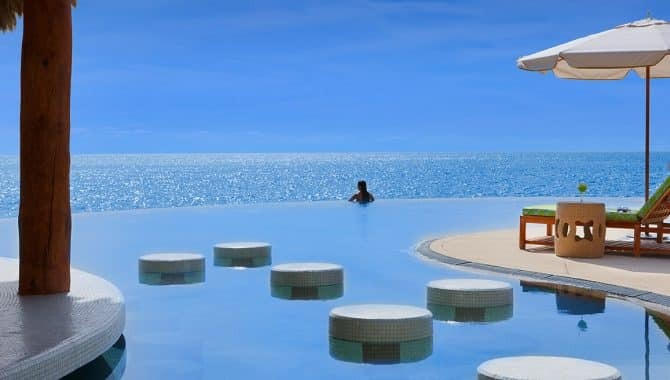 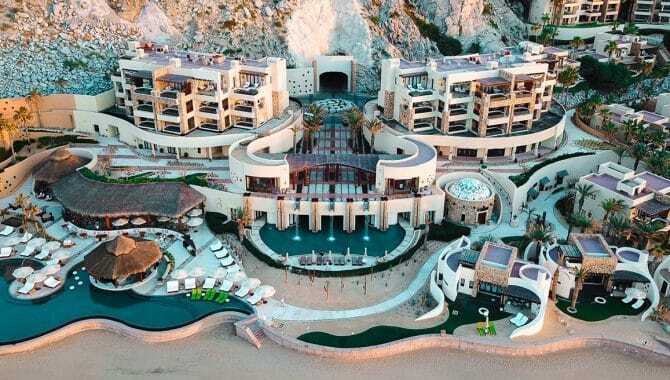 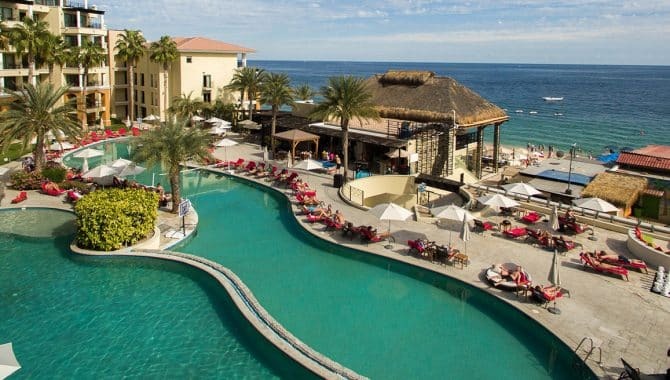 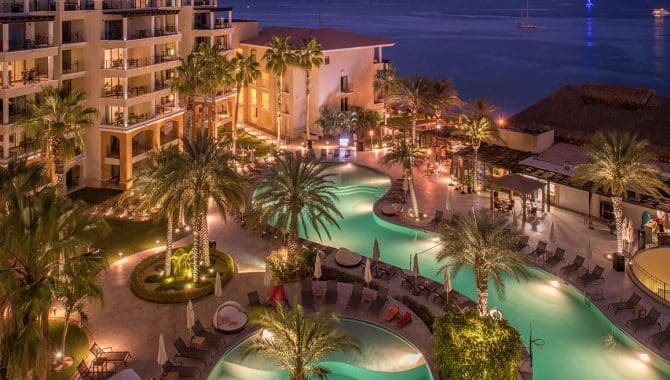 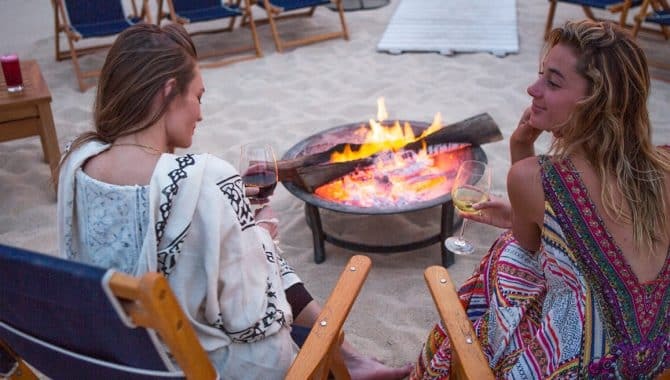 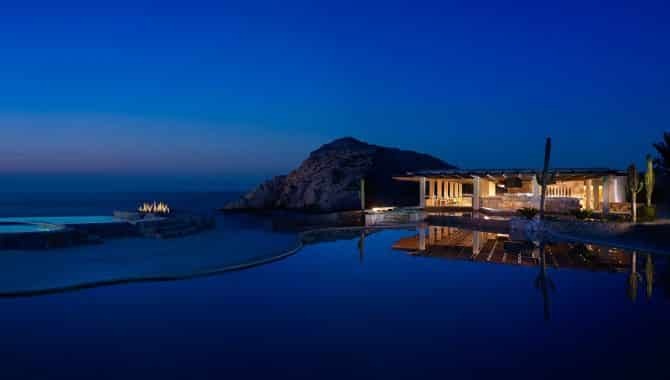 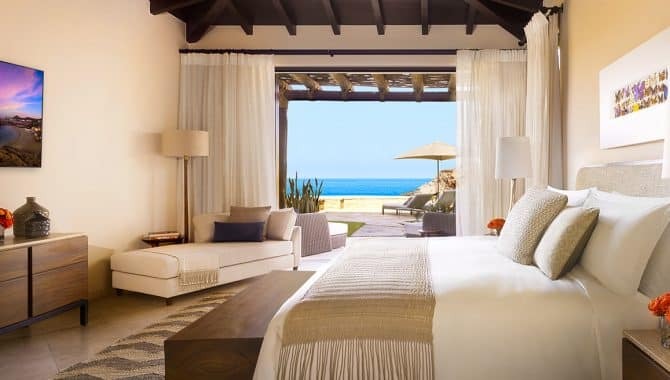 If you’re looking for an exclusive retreat in Los Cabos, start with our list of the best luxury hotels and resorts right on the beach. 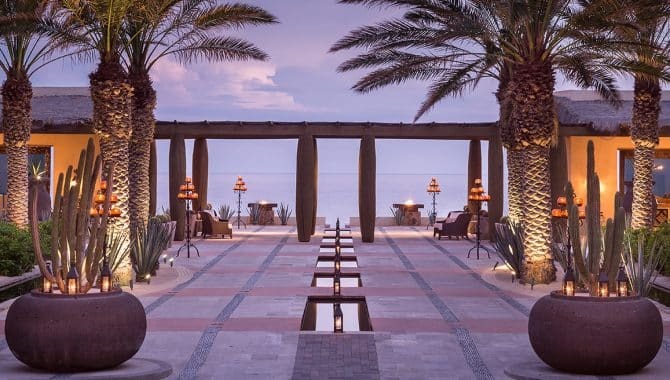 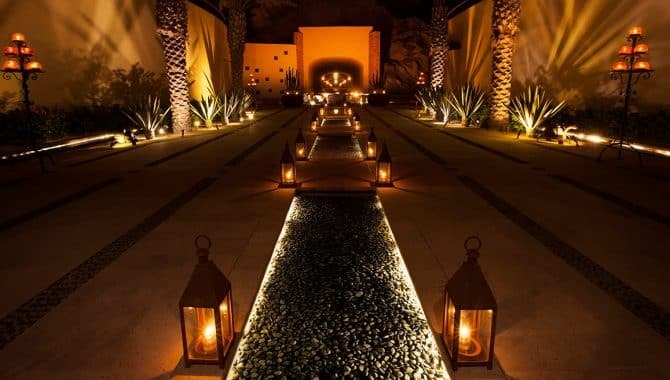 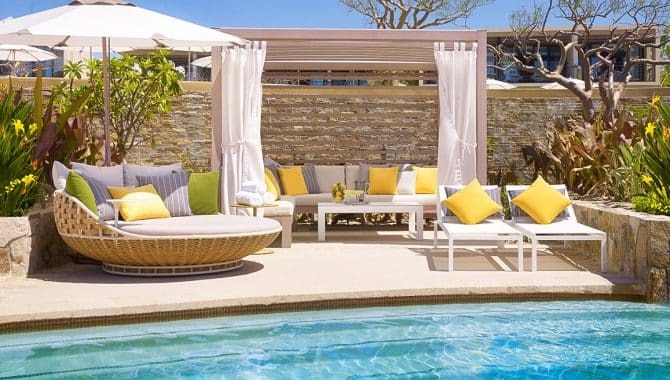 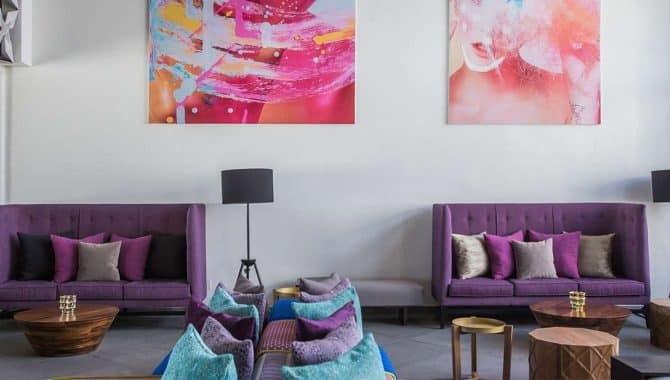 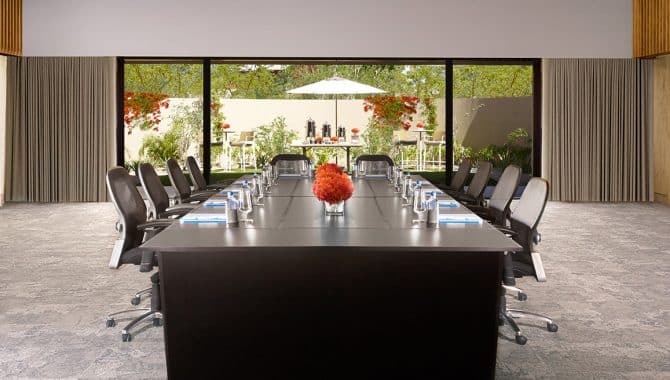 Casual but chic, this posh resort hosts a six-to-one staff-to-guest ratio, meaning guests are treated like royalty from the moment they arrive — and often by name. 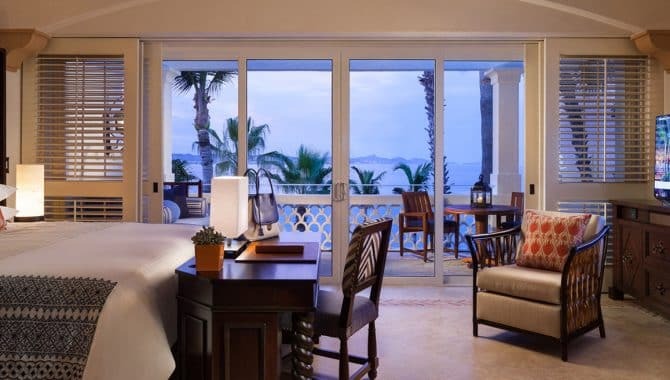 The 173 accommodations range from single rooms to huge villas with butler’s quarters. 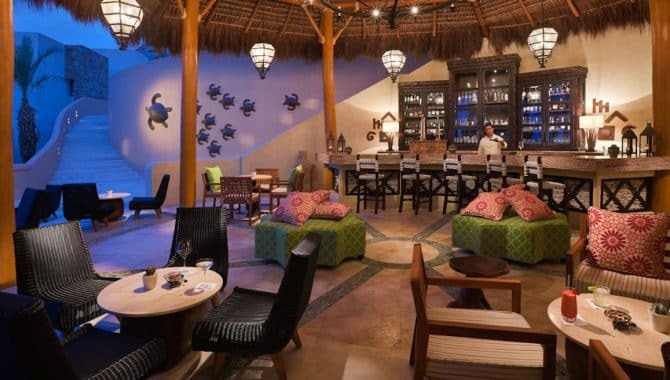 Tastefully decorated with plenty of natural wood and bright colors, they are a blend of traditional Mexican and contemporary Bohemian with plenty of amenities and outdoor space. 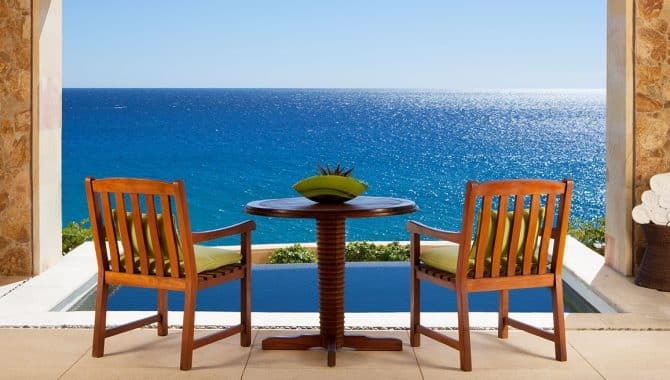 Villas come with a staff that includes personal chefs, butlers, and personal trainers. 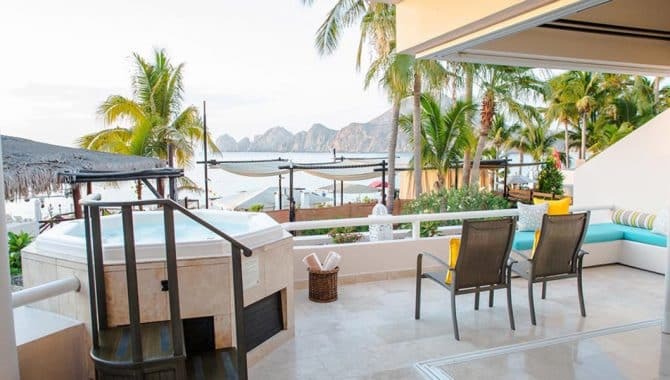 Many rooms have a private pool, lagoon pool, or hot tub on the terrace. 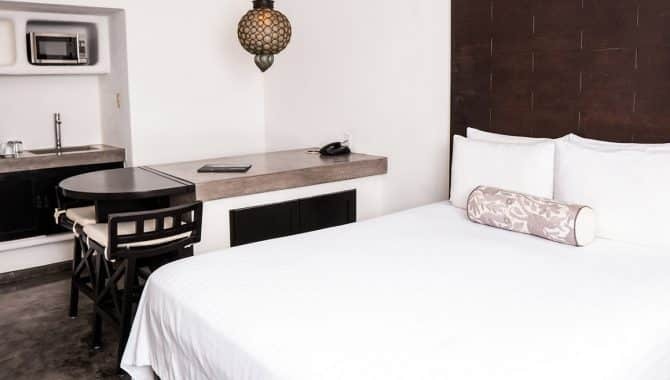 Other standard amenities include in-room espresso machines, luxury turn-down service, unpacking service, free Wi-Fi, daily snacks, and separate soaking tubs in the bathrooms. 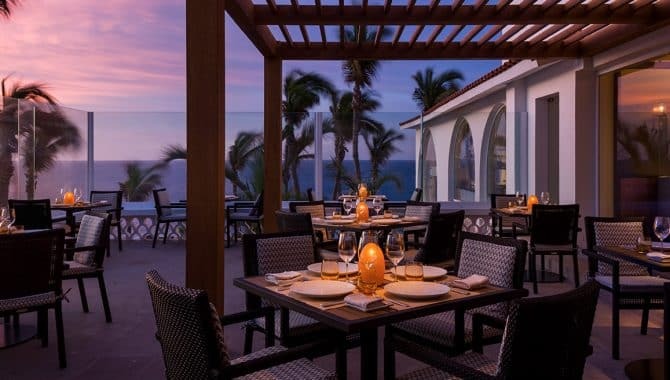 Michelin-star chef Jean-Georges Vongerichten heads Seared by One&Only, the resort’s main and most elegant restaurant. 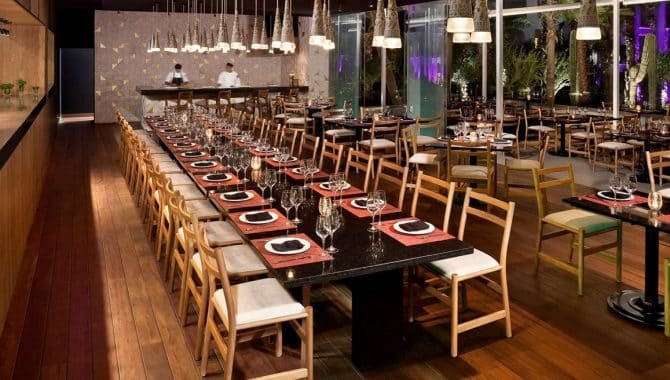 The menu includes prime cuts of meat — including Wagyu A5 beef — seafood, pasta, and an impressive selection of wines. 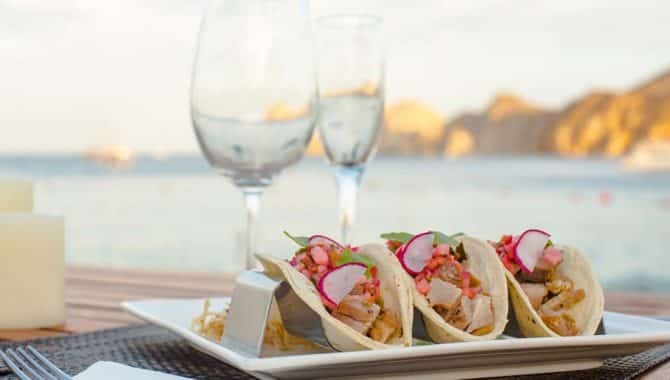 Next is Suviche, a bit more casual, serving a variety of Mexican and Japanese dishes. 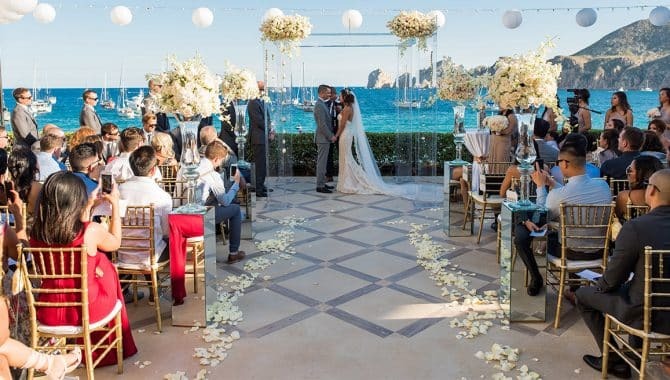 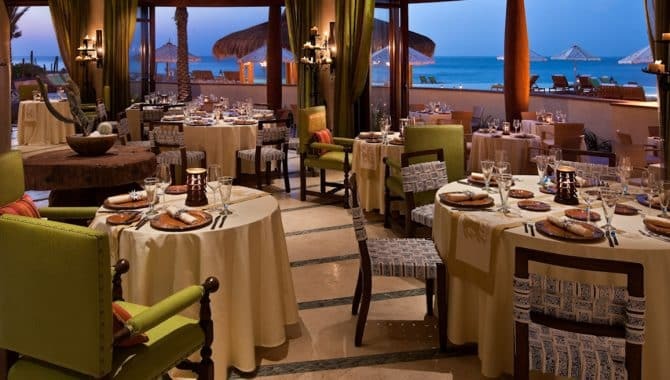 At Agua by Larbi, Moroccan-born chef Larbi Dahrouch offers cuisine that is a unique blend of Mexican, Middle Eastern, and Mediterranean, and the sea view only heightens the dining experience. 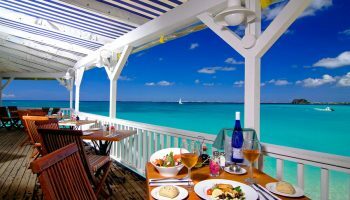 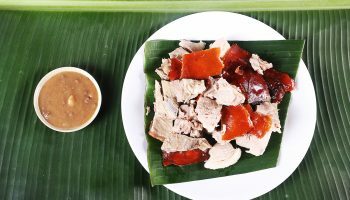 Rounding out the restaurant options are Pelican Beach Grill and Breeze, casual and laid-back eateries serving breakfast and lunch. 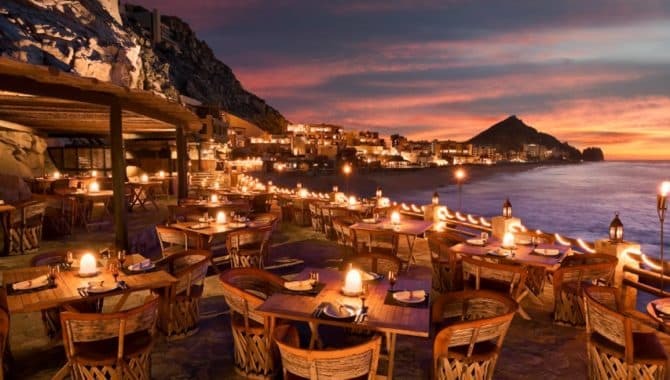 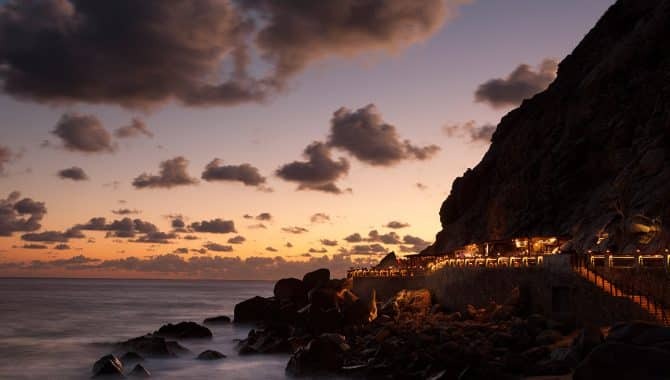 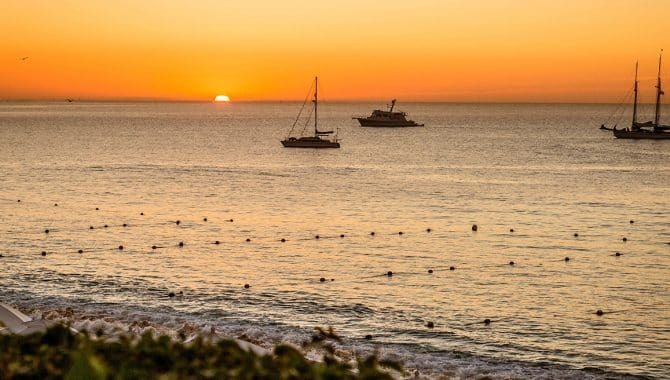 If you want your Mexican getaway to include music, fun, and a lively beachfront vibe, look no further than ME Cabo. 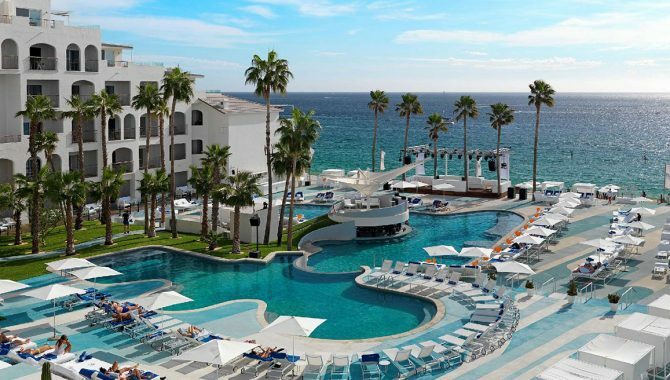 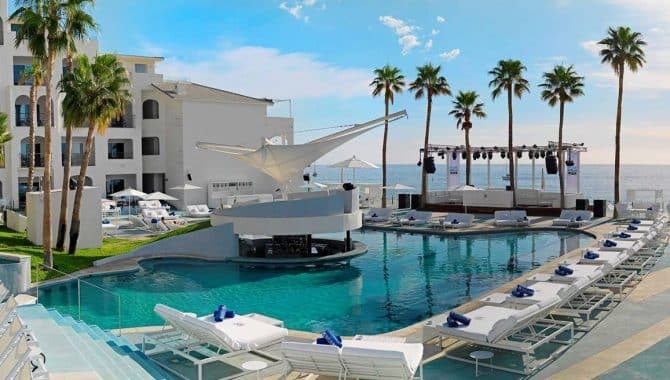 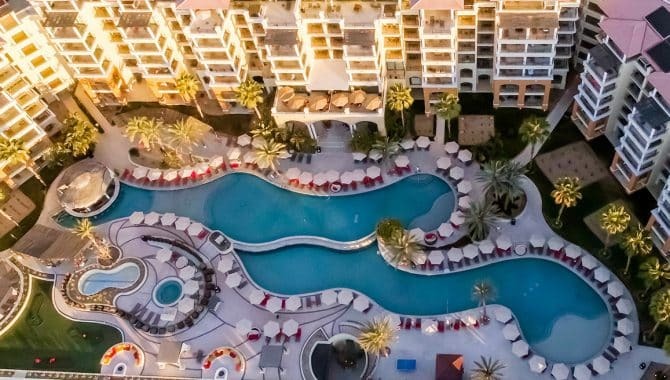 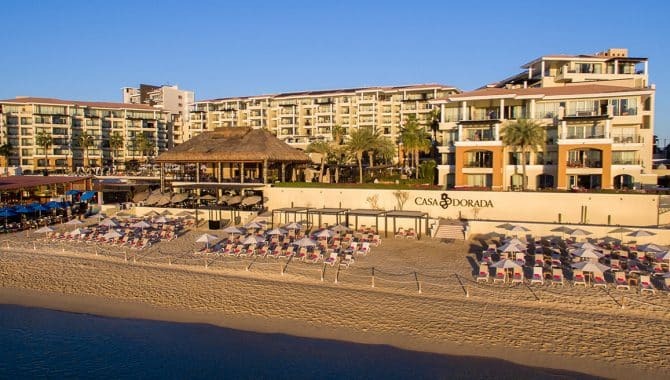 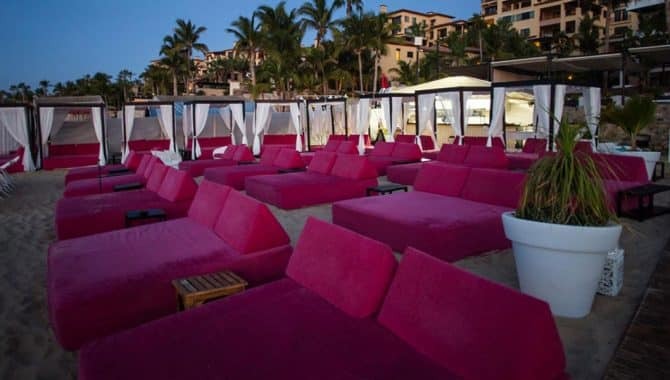 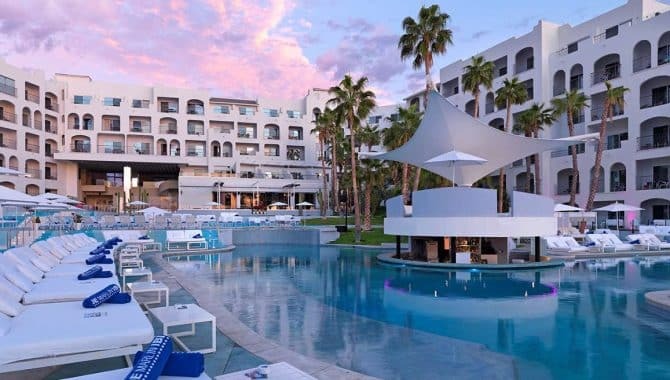 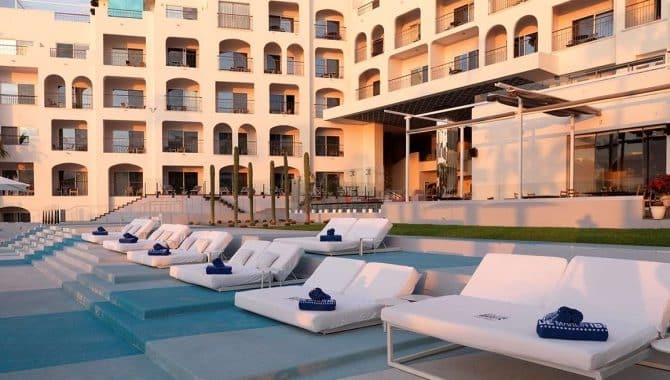 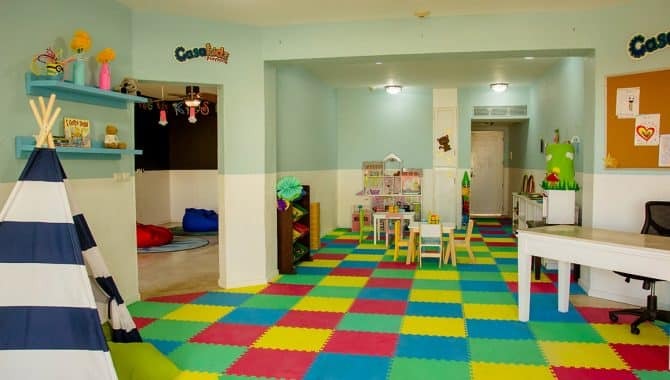 Rated one of the best party hotels in Cabo San Lucas, this is a trendy, energetic resort on the best beach in Los Cabos. 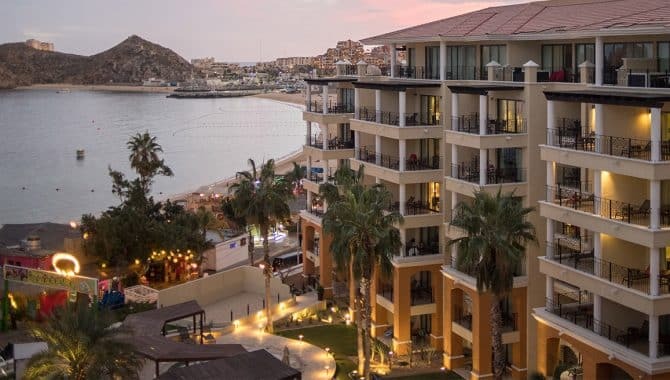 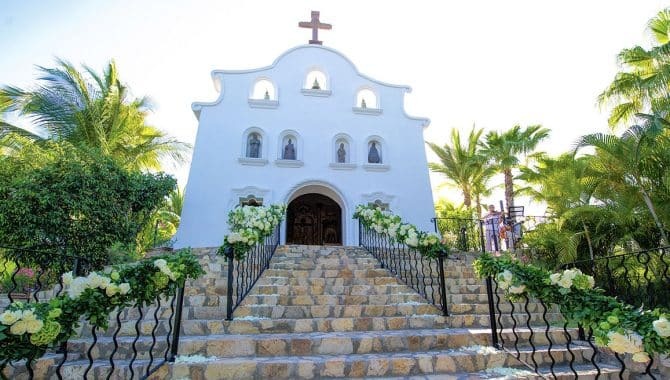 It is less than a 10-minute walk to the daytime and evening action in downtown Cabo San Lucas. 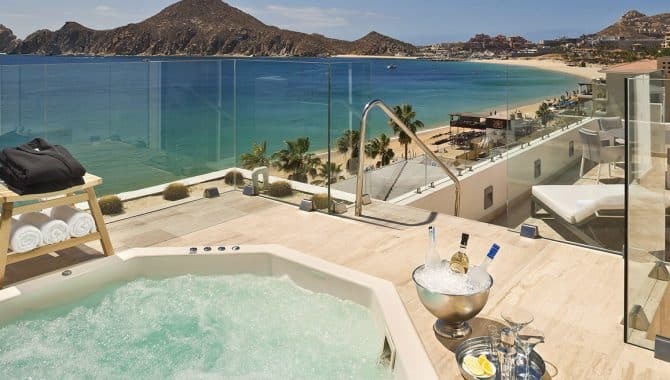 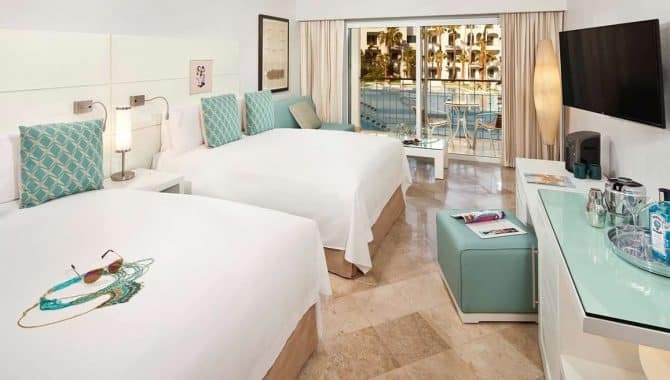 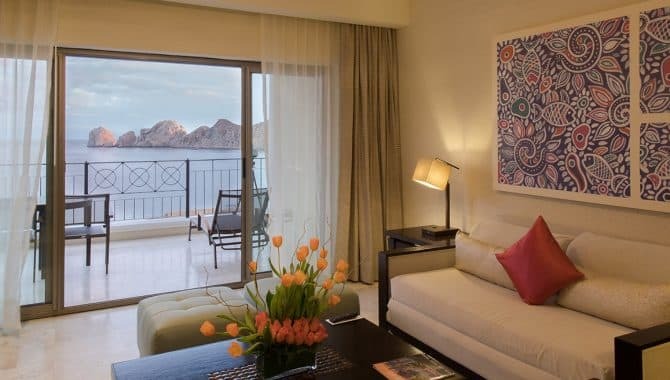 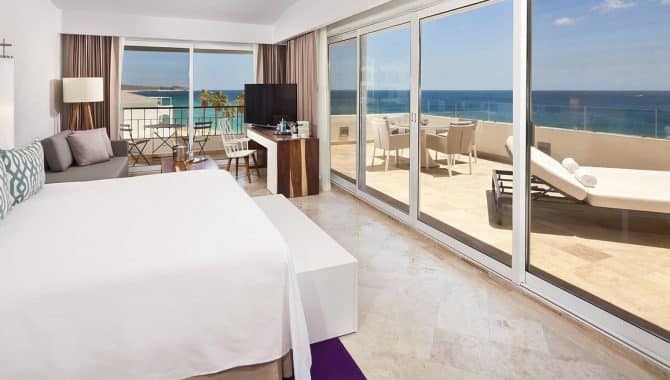 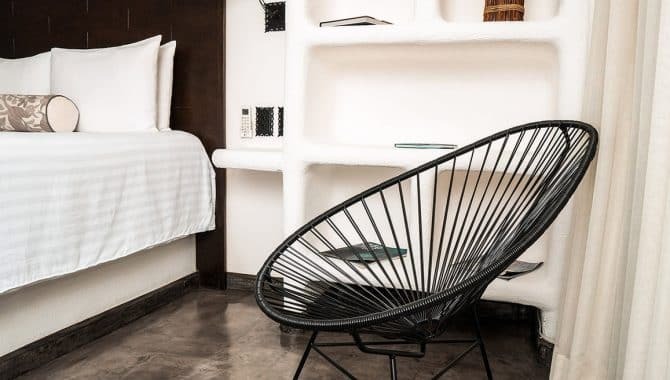 ME Cabo has a total of 162 spacious and modern rooms, all with flat-screen TVs and minibars, and many have an ocean view. 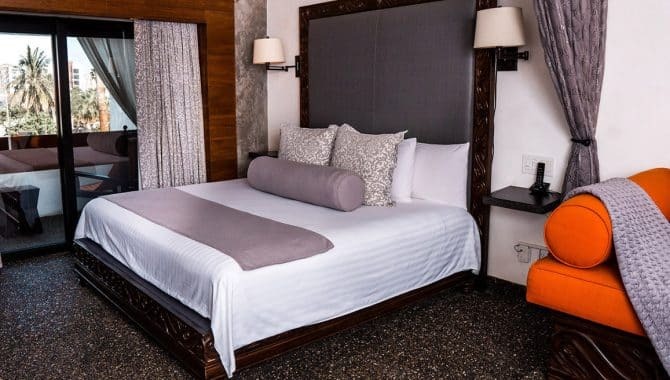 Both rooms and suites are available; the suites include concierge services, free breakfast, and a welcome snack or glass of wine. 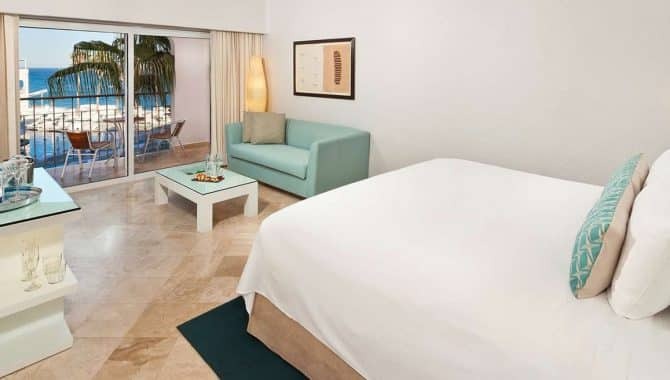 Suites are adults-only and include adult-oriented beverages and items. 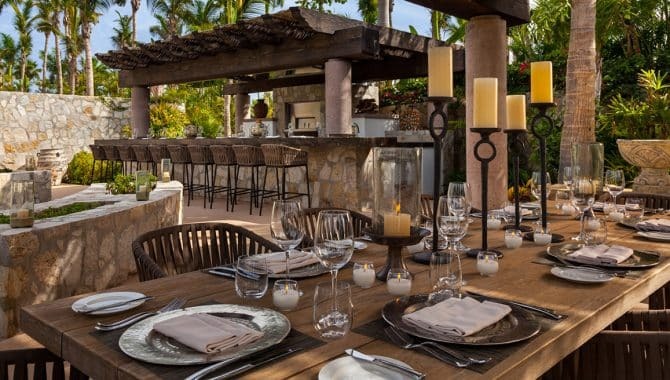 Dine in style at one of three on-site restaurants. 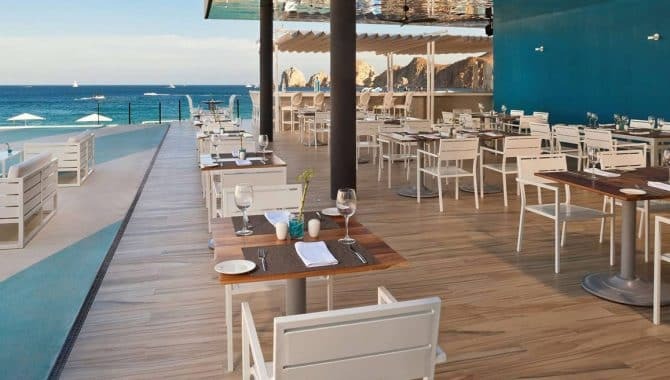 Blue Marlin Ibiza Los Cabos Beach Club is an open-air, casual café that offers lunch, dinner, and cocktails by the pool. 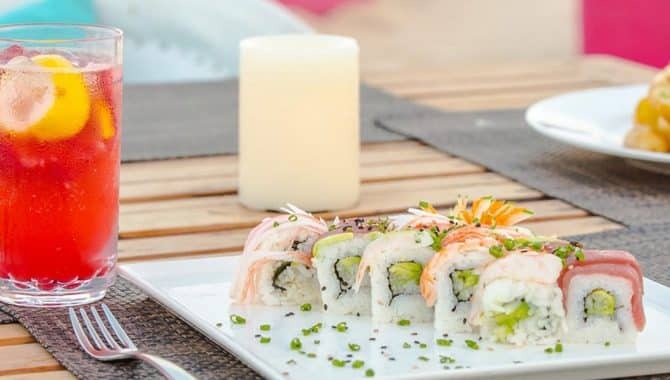 Blue Marlin Ibiza Restaurant is more upscale and features Mediterranean cuisine with a touch of Asian influence; organic products and fresh local fish are the basis of the great menu. 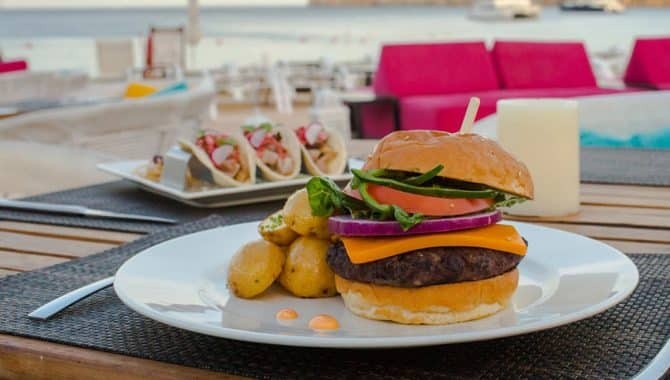 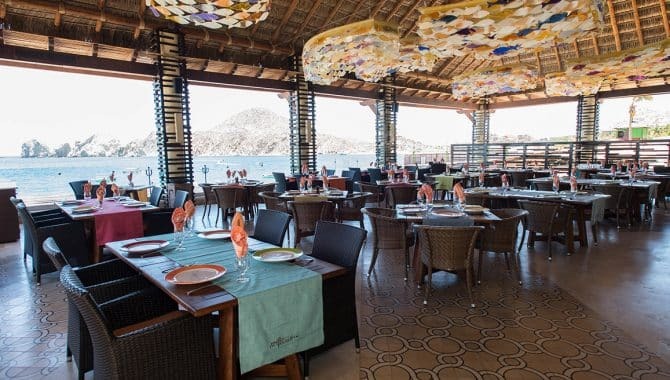 Have lunch or a romantic dinner at The Deck, just a few steps from the blue waters of the Gulf of California. 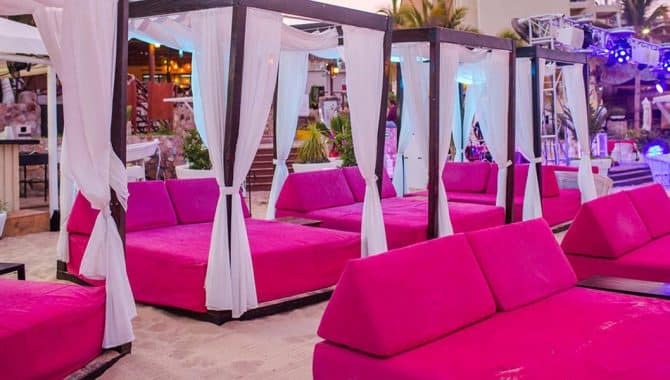 Two bars — Dare Bar and Rose Bar — keep the music and party going until the wee hours. 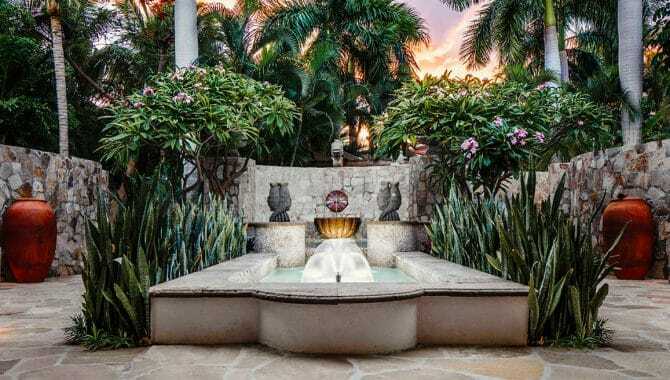 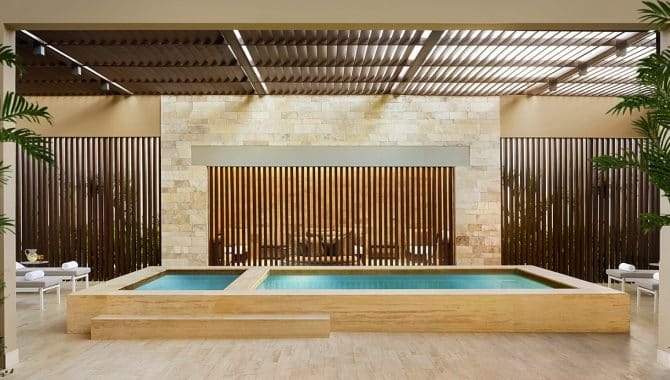 The resort has a small fitness center, and the on-site YHI spa offers massages, facials, body wraps, Kama Sutra kits, tranquility rooms, and hot tubs. 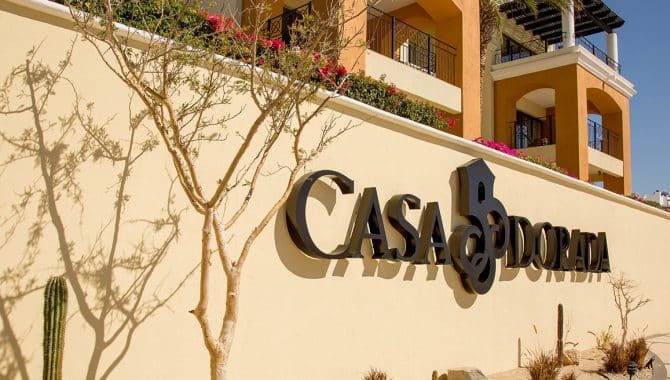 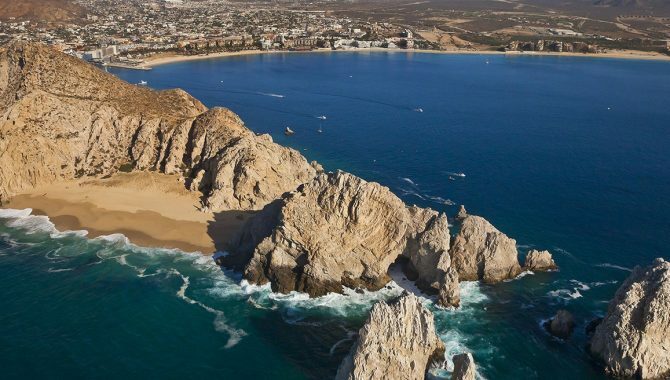 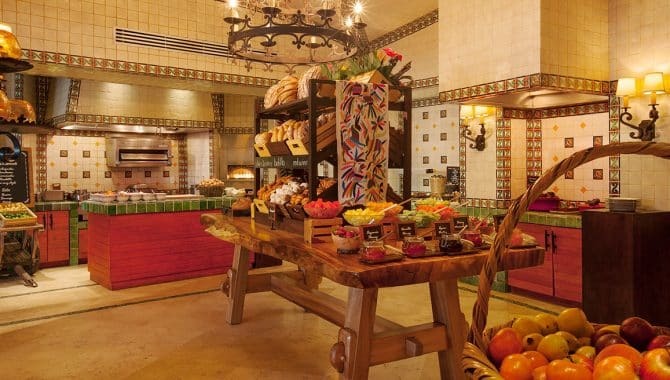 The best of Los Cabos is at your fingertips when you stay at Bahia Hotel and Beach House. 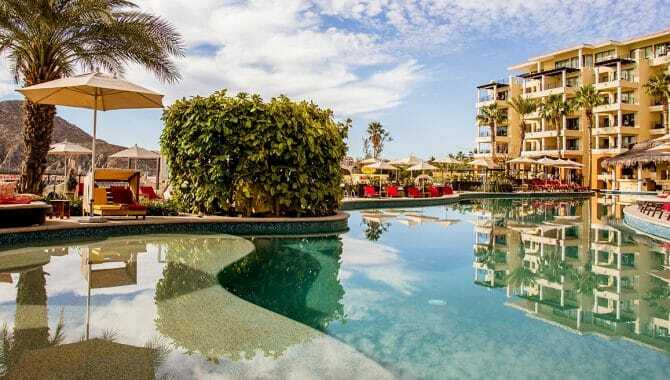 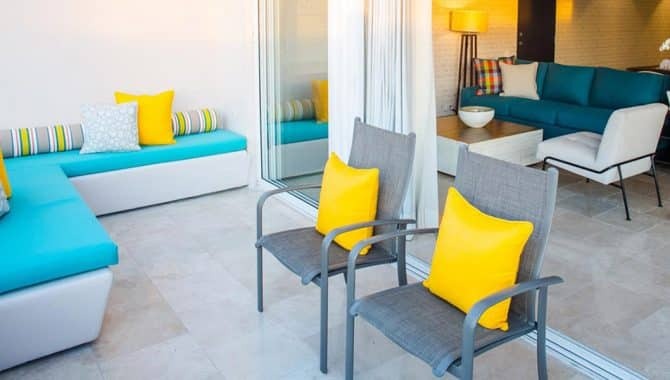 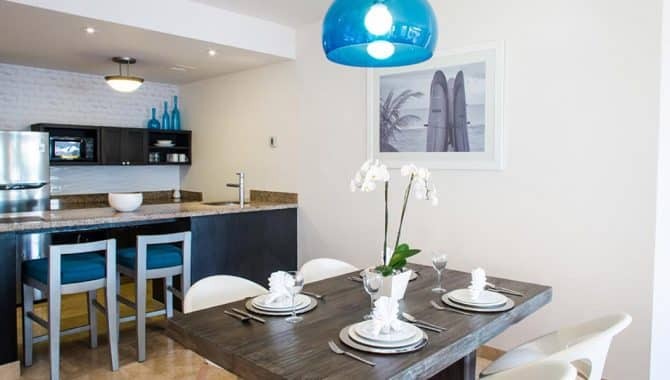 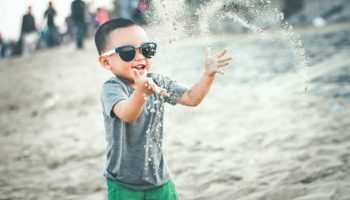 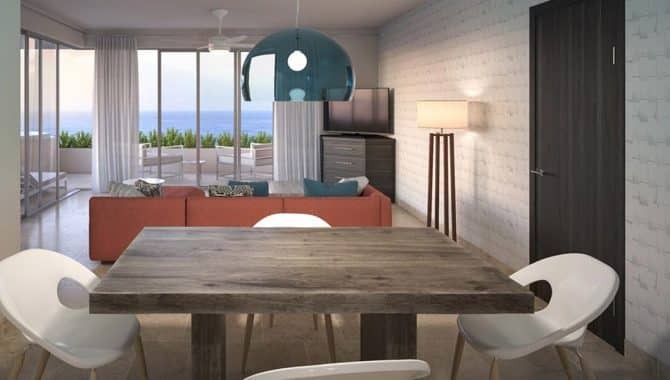 Spend the day idling by the pool, or take a short walk to the stylish SUR Beach House and scenic El Medano beach for some fun in the sun. 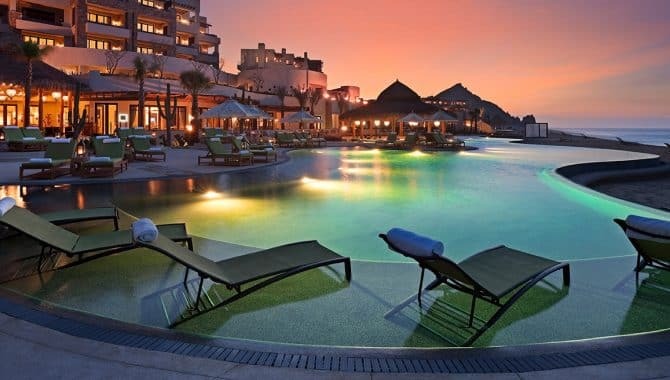 Given its close proximity to some of the city’s most popular destinations, as well as its spacious, modern rooms and amenities (some rooms even come with their own kitchenettes and balconies), it’s no wonder so many flock to this luxury resort – especially for a romantic getaway. 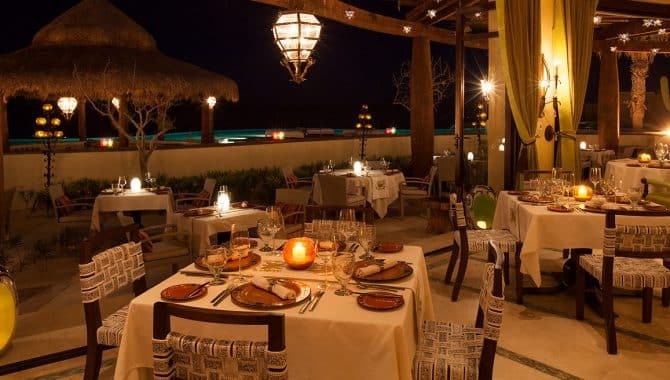 The hotel’s main restaurant, Bar Esquina, offers outdoor dining in a posh atmosphere and a varied menu of international delicacies for every taste. 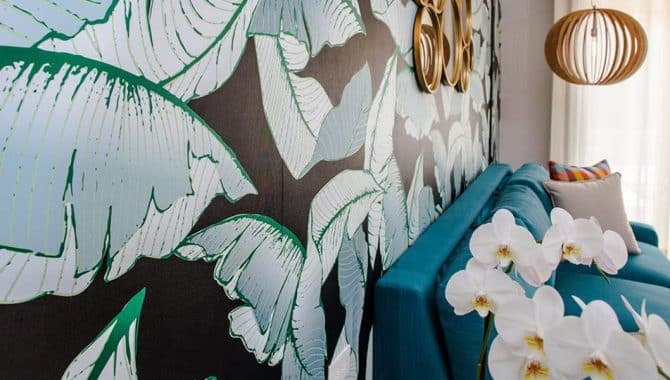 Perfect for an elegant date night or a casual lunch, the food here is often cited as one of the hotel’s many highlights. 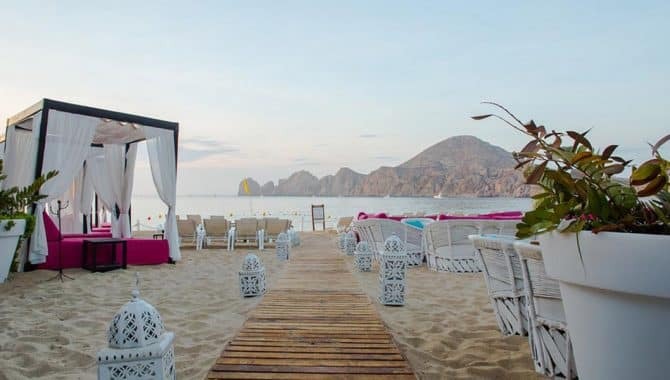 For those who need an early morning pick-me-up – perhaps after a late night dance party in downtown Cabo – a coffee shop opens at the break of dawn to accommodate guests. 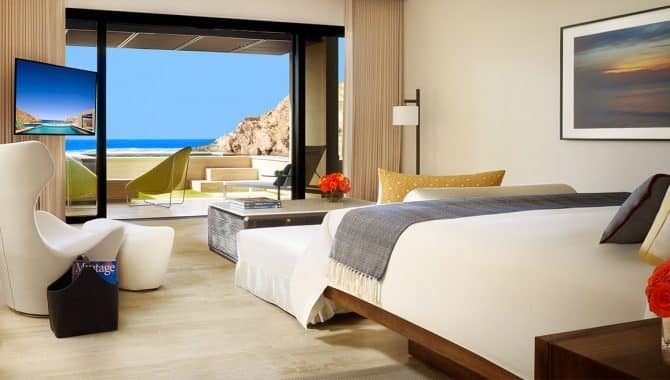 Welcome to the Montage Los Cabos resort, a set-apart paradise just a short drive away from both San Jose and Cabo San Lucas. 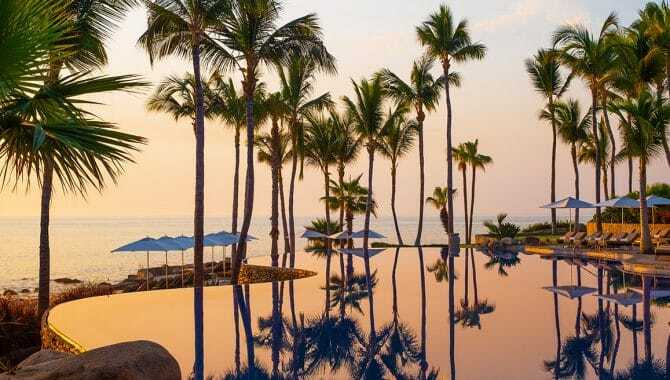 Here, everything you can think of is right at your fingertips. 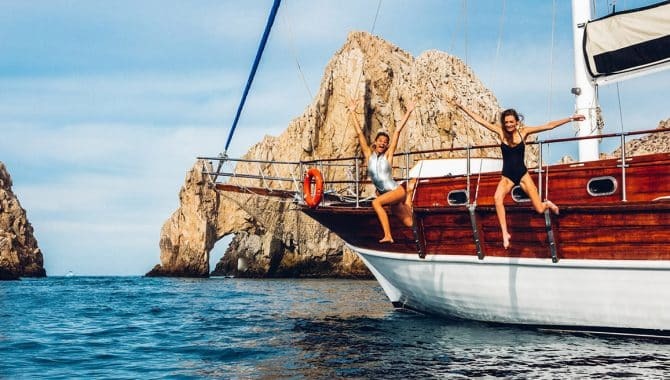 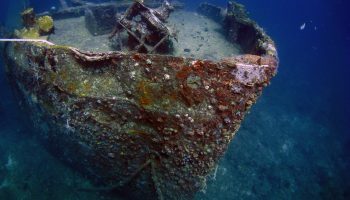 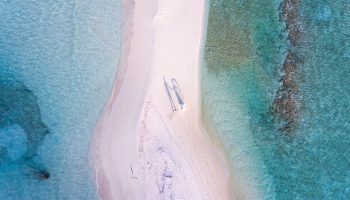 For adventurous souls, a whole host of recreation experiences are available to guests, including but not limited to snorkeling, Snuba (a hybrid of snorkeling and scuba diving), horseback riding, kayaking and more. 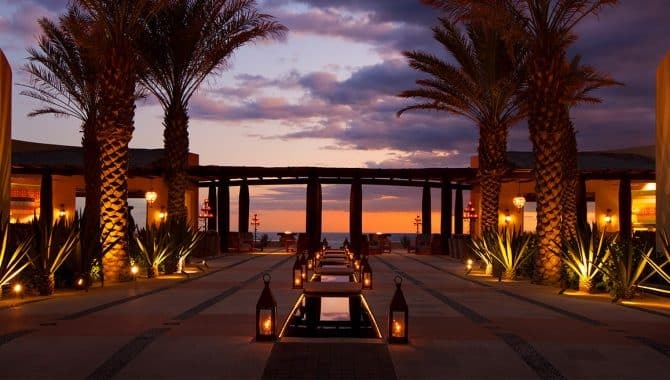 For those looking to simply relax, the Spa Montage Los Cabos is there for all your pampering needs. 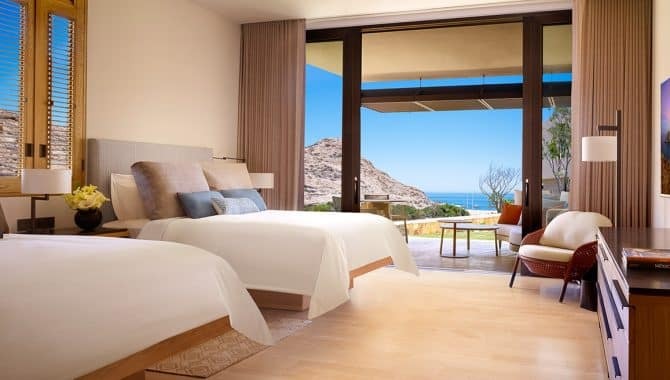 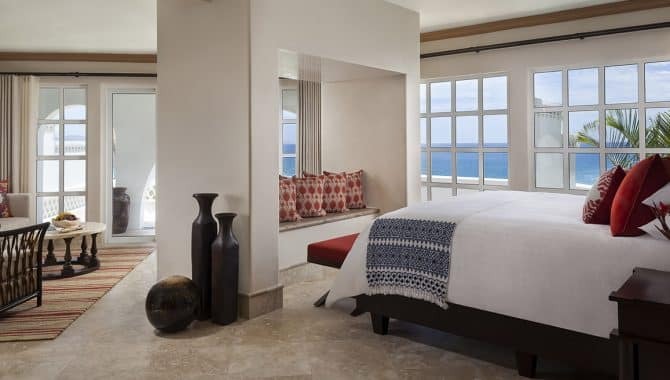 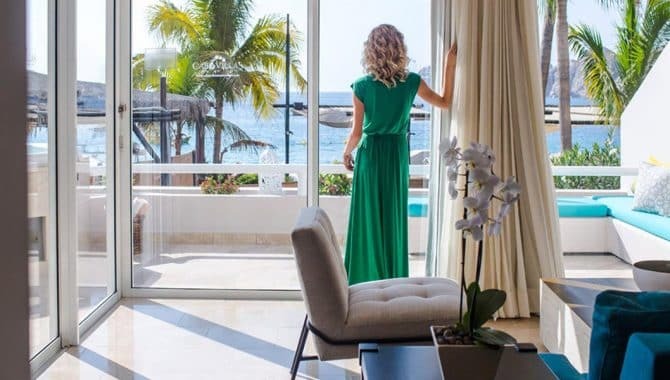 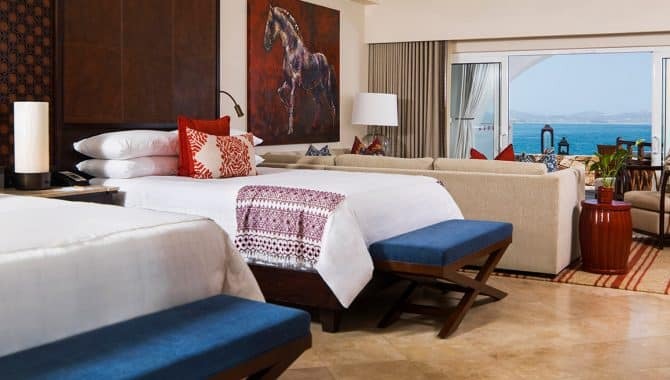 To top it off, every day of fun begins and ends in one of Montage’s luxuriously appointed guest rooms, each sporting spectacular views of the Cabo coast and a modern, upscale decor. 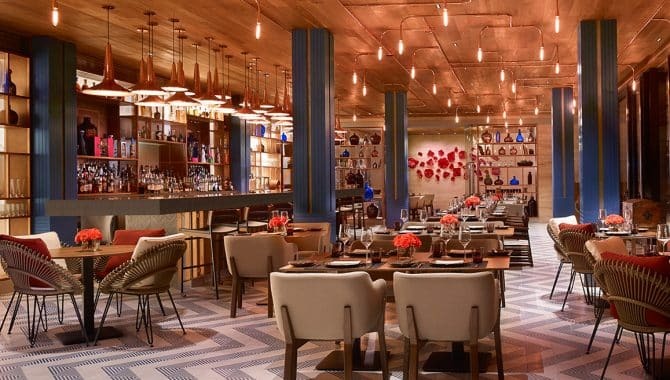 Dining options are playful but classy, something on full display at signature restaurant Mezcal—a creative Mexican kitchen with new spins on classic regional flavors. 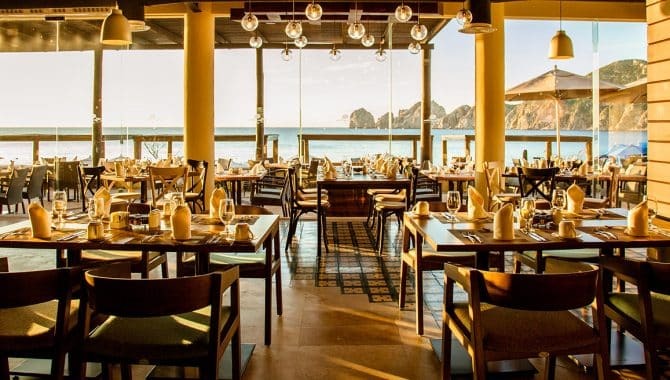 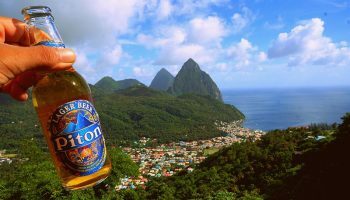 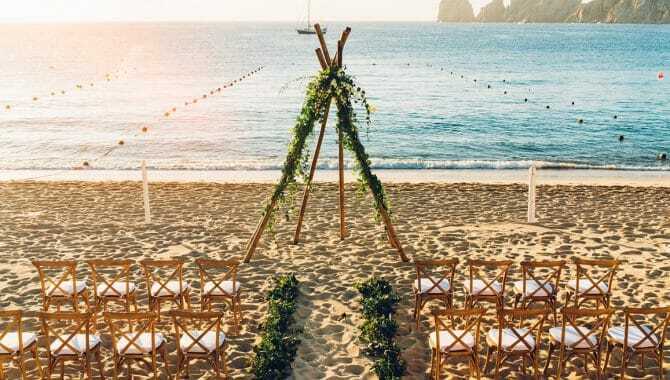 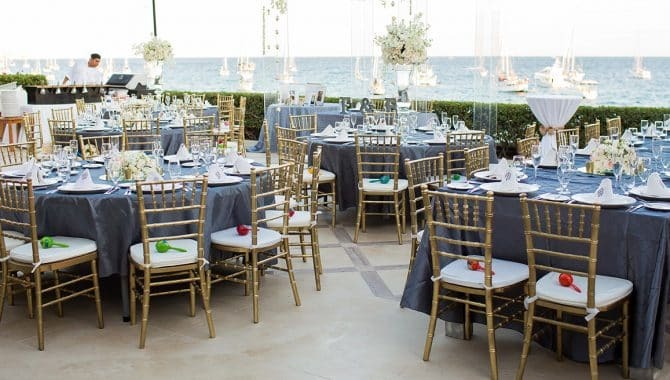 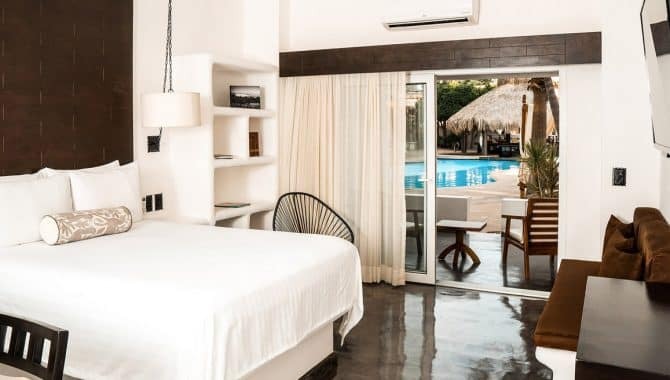 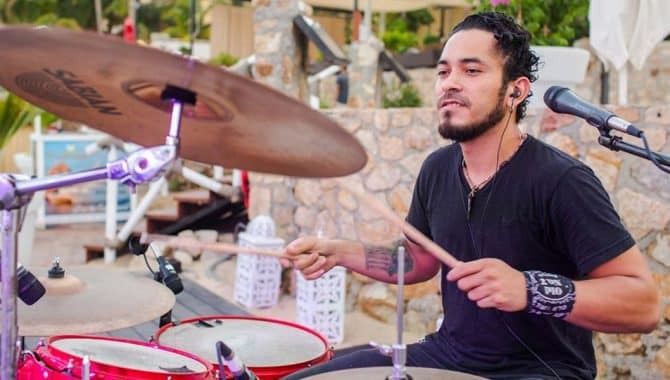 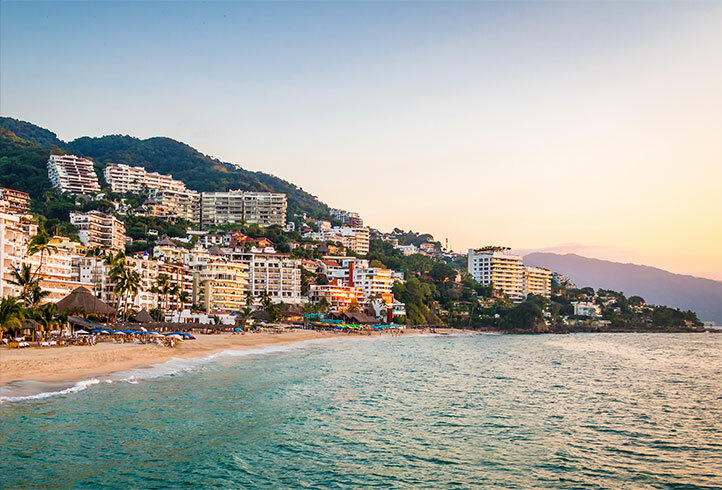 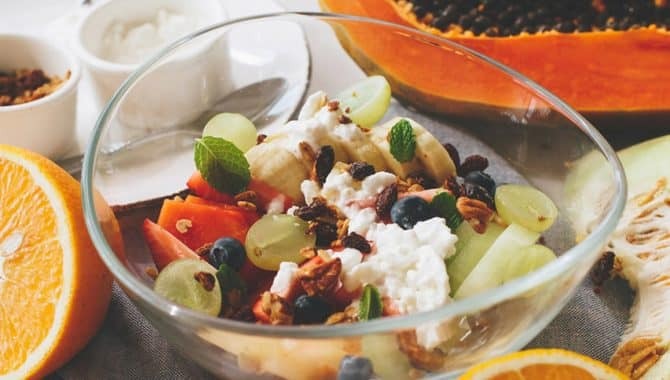 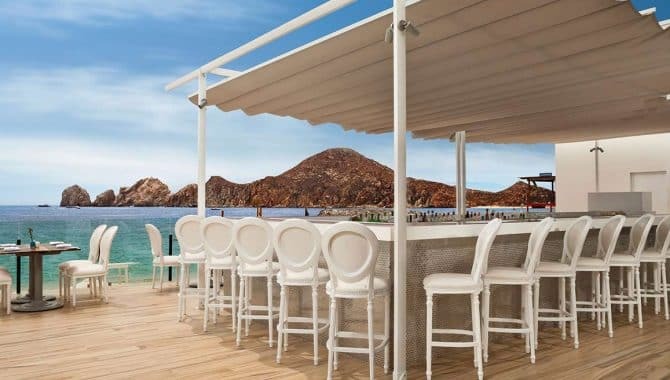 Other options include Marea, serving separate “Day” and “Night” menus of authentic Bajan cuisine right on the Sea of Cortez, and Paletas, a cafe that offers authentic Mexican coffee, sweets, and sundries.